Save $35 When You Switch to iMovR! 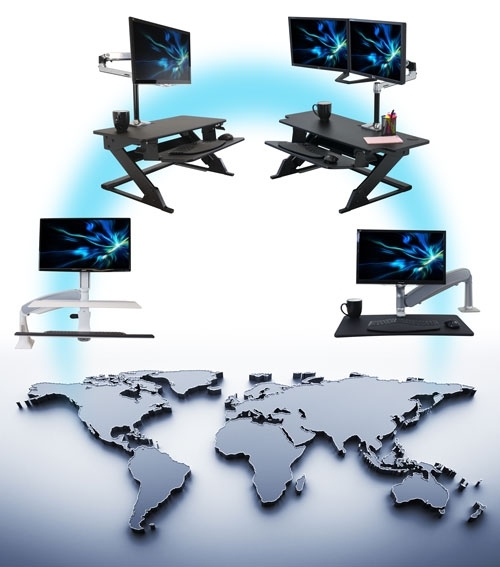 Since their introduction, thousands of corporations, government agencies, educational institutions, small businesses, and home offices have been switching to iMovR standing desk converters for their superior ergonomics, stability, adjustment range, and overall value. If your organization currently owns a different brand of standing desk converter and is looking to switch to the top-rated models on the market today, take advantage of our Conquest Rebate program to get a $35 Instant Rebate on any ZipLift, Cadence or Cadence Express model. We offer WORLDWIDE shipping on all orders over $100. It’s really that simple. If for any reason you are not happy with your purchase, you may return items to us within 100 days of receipt. Chat directly with an Office Fitness Guru and get help with your questions, or reach us by email. © 2018 iMovR. All Rights Reserved.